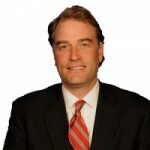 Sen. Mark R. Warner comments after the Senate approved legislation to fund the Veterans Choice Program and authorize 28 delayed V-A medical facility leases​. 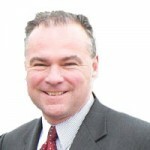 U.S. Sen. Tim Kaine joined U.S. Sens. Jon Tester (D-MT) and Jerry Moran (R-KS) to introduce the Better Workforce for Veterans Act. Smithfield Foods was honored for its donation to the Veterans Services Foundation in support of the Virginia Department of Veterans Services. Mark Warner introduced a bill to expand a program that helps those who care for wounded, ill, or injured veterans. U.S. 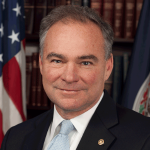 Senator Tim Kaine comments on the report on wait times at VA medical centers. U.S. Sen. Mark R. Warner comments on a report on long wait times at VA medical centers. 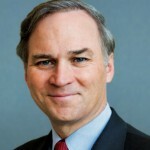 Sen. Tim Kaine announced co-sponsorship of legislation to reform the benefits appeals process for veterans. A job fair/hiring event targeted specifically for veterans, veteran spouses and veterans with disabilities is set for Oct. 26. 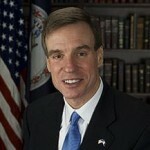 U.S. Sen. Mark Warner (D-VA) led a bipartisan group of 18 senators seeking to improve veterans’ access to healthcare. On Tuesday vice presidential nominee Senator Tim Kaine campaigned with his wife, the Honorable Anne Holton in Fayetteville, N.C. This week, Hillary for Virginia will launch Virginia Veterans and Military Families for Hillary with events in Arlington, Virginia Beach and Richmond. Lt. Gov. Ralph Northam released the following statement in response to Governor McAuliffe’s budget proposal to improve veterans services. Governor Terry McAuliffe today announced a package of budget proposals that will provide nearly $13 million in services for veterans. Today, U.S. Sen. Mark R. Warner (D-VA) and a bipartisan group of Senate colleagues held a press conference in the U.S. Capitol to announce the introduction of the Veterans Health Care Staffing Improvement Act, bipartisan legislation to make commonsense changes in staffing policies at the Department of Veterans Affairs (VA) and improve veterans care at VA health care facilities. Augusta County Library has joined forces with the Virginia Foundation for the Humanities to offer Talking Service, a reading and discussion program for veterans and their families. U.S. Sens. Mark R. Warner (D-VA), Tim Kaine (D-VA) and Senate Armed Services Chairman Sen. John McCain (R-AZ) have introduced bipartisan legislation honoring the late Phyllis Galanti’s service to America’s military men and women and their families by naming the outdoor arboretum at Richmond’s McGuire VA Medical Center The Phyllis Galanti Memorial Arboretum. Last month marked one year since we learned of the gross mismanagement at the Department of Veterans Affairs (VA) that resulted in tragic outcomes for those who have made countless sacrifices to protect our nation’s freedoms. In recognition of the university’s continuing commitment to veterans, the U.S. Small Business Administration has selected Virginia Tech to host a one-day Boots to Business entrepreneurial workshop tailored specifically for past and present service members and their dependents. Today at the Virginia War Memorial, state and federal leaders convened to recognize community partners from Roanoke, Richmond, the Peninsula, and South Hampton Roads who participated in a 100 Day Challenge to tackle veteran homelessness in Virginia. 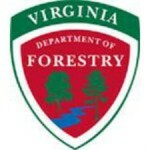 Governor Terry McAuliffe announced that Virginia veterans who face barriers to accessing the Veterans Administration (VA) health system will have more options for care through new provider agreements between the VA and community health centers. 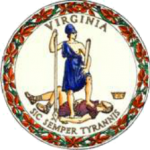 Legislation to provide $66.7 million in state funding for new Veterans Care Centers in Northern Virginia and Hampton Roads advanced from the House Appropriations Committee Wednesday.